Columbia Station Open House March 10 from 1-3pm WHY BUILD?? If your thinking of building but do not want the headaches that go along with it, this home is for you! 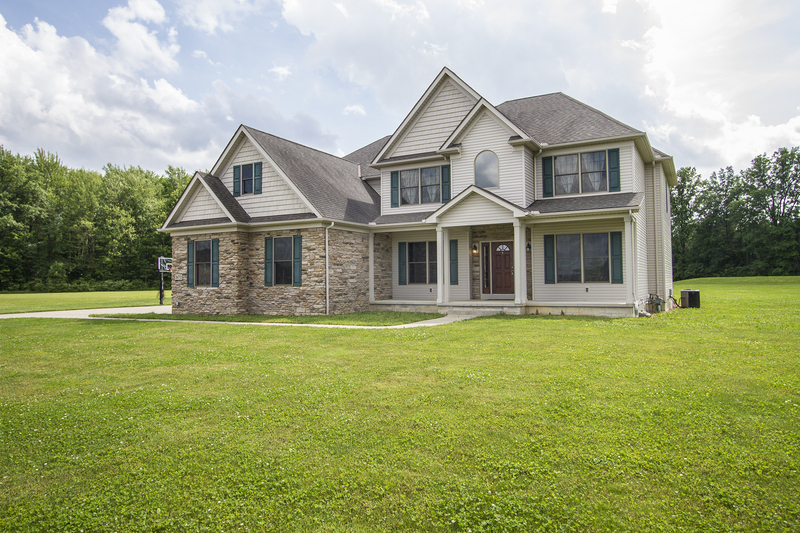 Beautifully maintained 4 bedroom, 5 bath colonial in Columbia Station in Olmsted Falls School District. This home was built in 2007 and has been well cared for by the current owner. The home will surely delight that offers many upgrades when it was built. ! Enjoy the vast amounts of light & openness of the two-story foyer*The foyer leads to a great room that opens to the large eat in kitchen. The beautifully maintained kitchen offers granite counters, KraftMaid soft close cabinets, Wolf range, and an extra large built in refrigerator with a large pantry (all appliance included)*The great room offers a gas burning fireplace to enjoy during those cold nights. The living/dining areas are off the foyer for additional entertaining space. An extra room on the main floor can be used as a bedroom or office.The main floor additionally includes 1 full and one ½ bath with a laundry/mud room off the kitchen. The oversized 4 bedrooms offer ample closet space along with 3 full baths that have granite countertops, ceramic tile, and upgraded Kraftmaid cabinets. The oversized master bath connects to a 20X6 walk in dream closet. *The full basement offers more space to finish off with plumbing to add an extra bathroom.The home sits on over 3 acres with a 3 car attached garage. Exterior just needs your landscaping touch to enhance the beauty of the home.